China’s state media outlets are reporting that national security agencies have busted a foreign spy ring operating through Chinese social media. The original Chinese-language report appeared in China News before being picked up by People’s Daily and the English-language publication China Daily. According to the reports, a foreign intelligence agent using the alias “Feige” (“Flying Brother” in Chinese) recruited 40 people from 20 different provinces to gather information on China’s military development. None of the reports hinted at Feige’s nationality, or which country was behind the espionage. The reports said that one suspect, identified only by his surname, Li, has already been sentenced to 10 years in prison for providing Feige with highly classified and classified documents. Li was accused of passing along information from China’s internal military publications, as well as carrying out in-person surveillance of military bases in Guangdong province. He transferred pictures of the military bases, including of military equipment installations to Feige. Feige apparently first contacted Li in 2011 by posing as a woman and chatting with Li about his personal life. 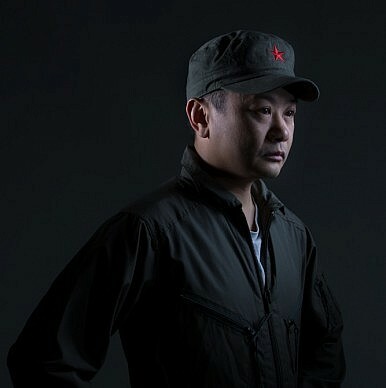 After a month of befriending Li, Feige then revealed that he was a man, and offered Li 3,000 RMB ($480) a month to provide information on China’s military. Under Feige’s guidance, Li subscribed to military publications intended only for Chinese audiences. He would then pass information from these publications on to Feige. Often, news about China’s latest military technology is first available on online forums. Leaked photographs of new technologies are generally assumed to have the tacit approval of China’s military officials. As South China Morning Post notes, news about the first test flights of China’s J-20 fighter jet first appeared on online forums, as did images purporting to show a guided missile destroyer produced by the PLA Navy. The projects have not been officially discussed by China’s government or military. China’s navy has also not confirmed widespread reports in Chinese media that a second aircraft carrier is now under construction. Now, it seems that at least one foreign government is taking advantage of China’s tendency to unofficially reveal military secrets online. According to the reports, Feige used these same forums to recruit spies. Some of the military enthusiasts who take pictures of new technology and post them online may also have been doubling as foreign agents. Compared to worries about sophisticated cyber-espionage campaign, the spy ring reported by Chinese media seems positively quaint. Yet it’s no laughing matter; according to the state media reports, Li caused “severe danger to national military security.” As China undergoes a broader internet crackdown, the online spy ring may cause Beijing to rethink its attitude towards the online military forums. The news of the online spy ring comes soon after China’s Central Military Commission urged more stringent security measures to protect military secrets. Chinese military personnel must “spare no effort to fight the battle of maintaining secrecy,” the report said.